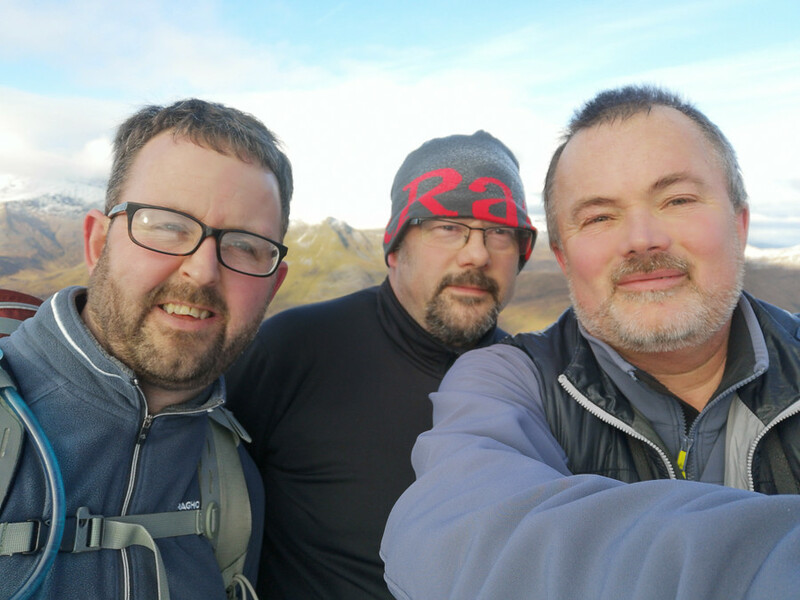 'Twas the weekend of the annual Munro Meanderers Christmas get together (p*** up ... ), and a bitter, betrayed and let down Jonny Mitchell insisted that Colin and I owed him a Mamore or two after rain stopped play at the previous year's attempt. 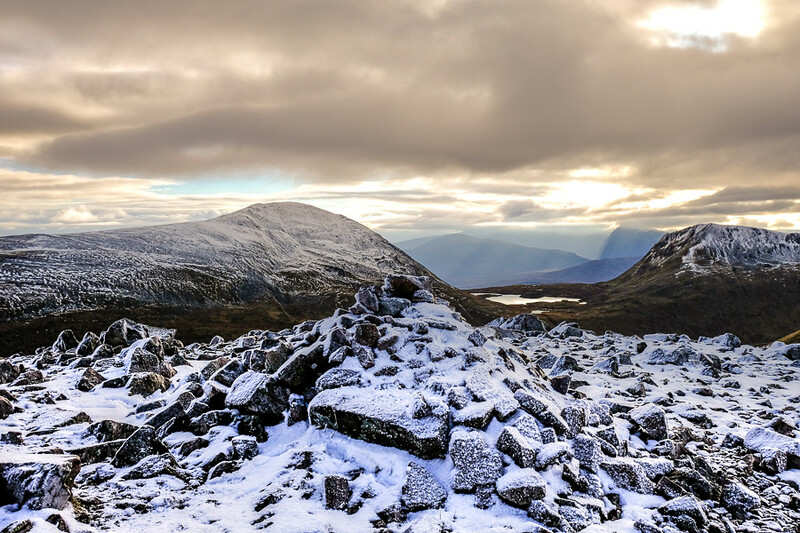 This year the forecast was much more promising, so the plan was to do at least Binnein Beag, right out the back. then think about the other one in the gathering gloom (which I'd already done so I wasn't going to be doing much thinking ). 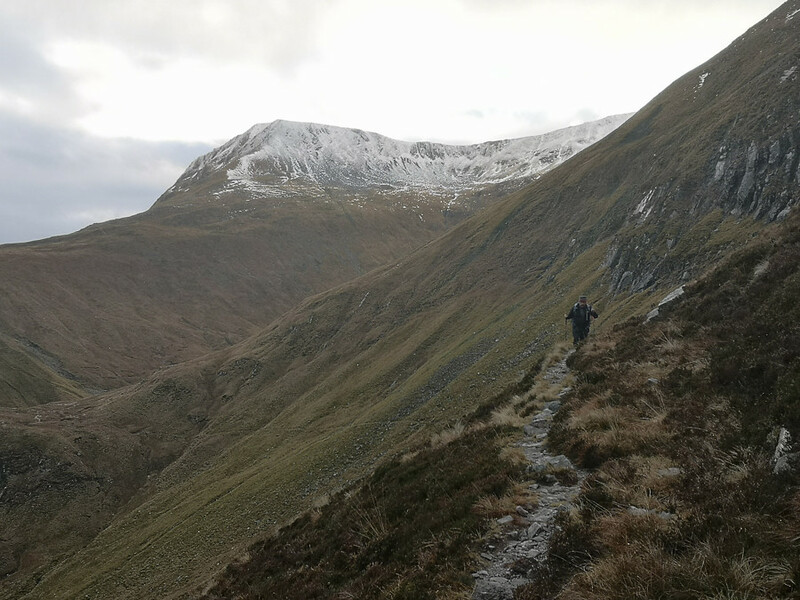 There is the recommended way to prepare for an 18+ km walk and 1300+ m of ascent in short daylight, and then there is the Munro Meanderer way: arrive at Corran Bunkhouse the night before, greet friends not seen for 12 months in some cases, and then settle in to some beer, many drams and good food (especially the smoked Northumberland cheese, even if I say so myself). As the evening wore on, and the singing commenced there was much laughter and derision about our plans from some of the WH legends gathered (you know who you are). So teeth gritted and feeling determined, I stopped the boozing at midnight (as duty driver), and went to my bunk. The other two piled in between 02:30 and 03:30, and a consequent succession of snoring and other extraordinary bodily noises rendered my further sleep impossible, so when reveille was called at 06:00, I was a tad jaded, and the others hadn't even started their hangovers. 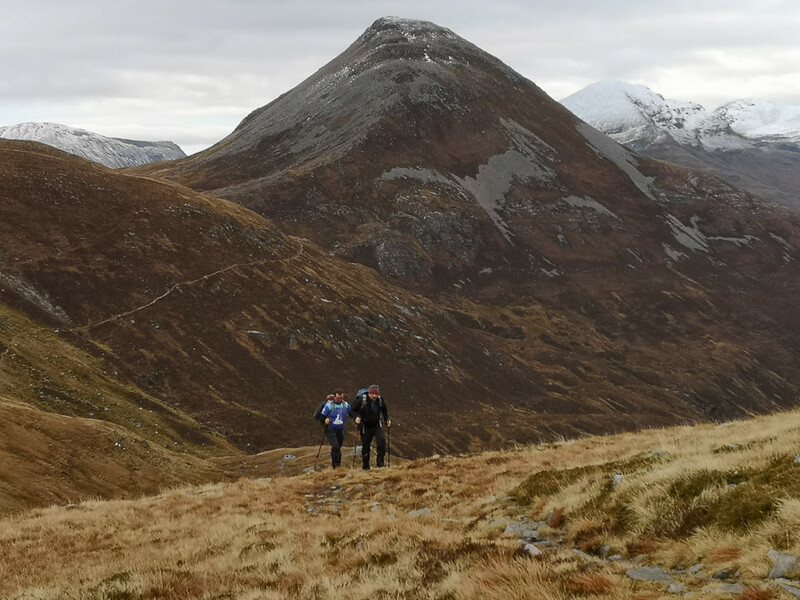 To be honest, just getting to the start at the car park in Kinlochleven was a miracle, but cold air freshens the mind considerably and suited and booted we were on our way. 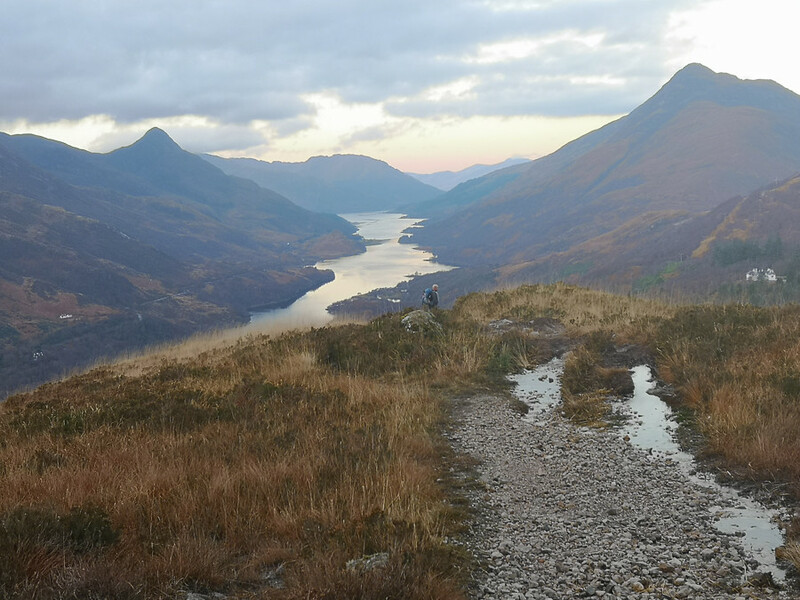 Not quite like mountain goats, more like hippos, but going straight into the steep ascent through the woods quickly bought rewards with that wonderful view down Loch Leven in the early light. 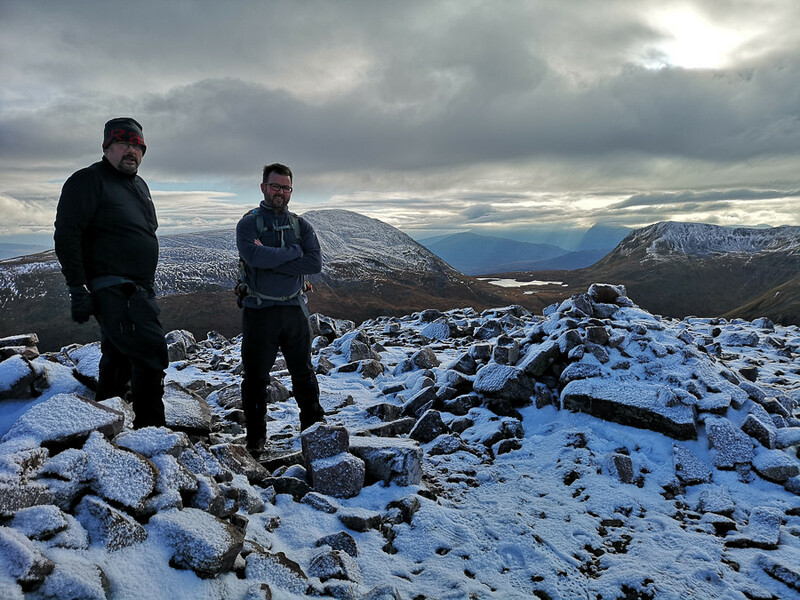 In the fact the view was so good we had to stop many times to admire it, and in certain cases to sort out the excess contents of the gastrointestinal tract ( ). A finely honed athlete can't be expected to carry additional weight, eh? 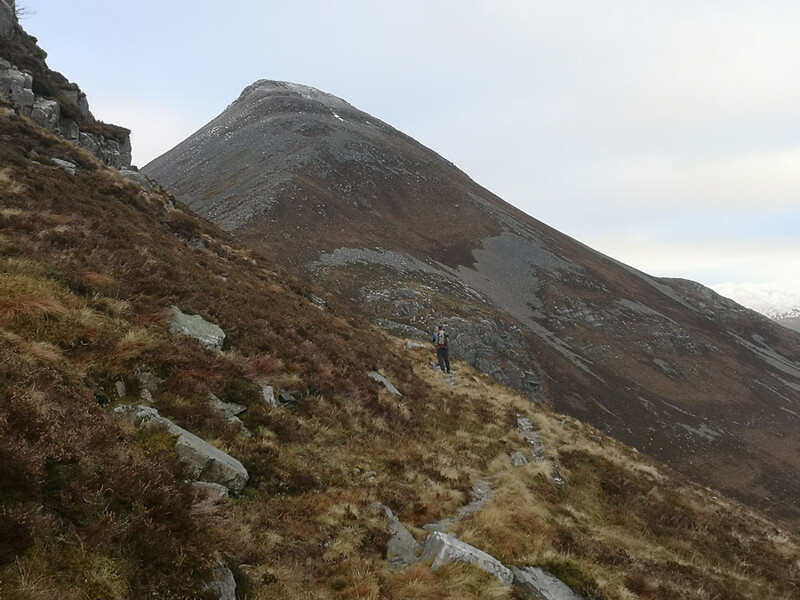 The climb eased off until the track was reached, then after a boggy section and a couple of small burn crossings the ascent steepened again, on good paths until that wonderful point when Sgurr Eilde Mor comes into view - a magnificent pointy looking beast. 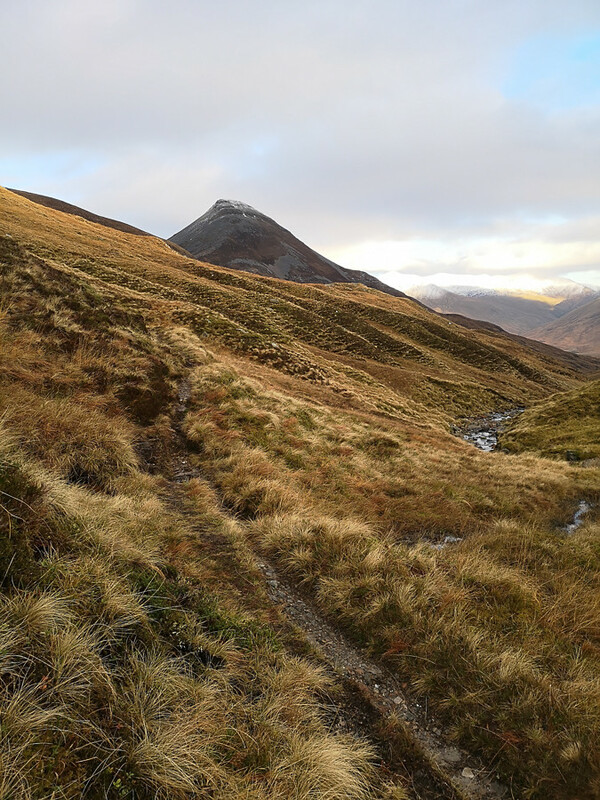 The path continues high around the edge of Sgurr Eilde Beag before dropping deep into the glen, losing at least 130 m of height - grrrr. 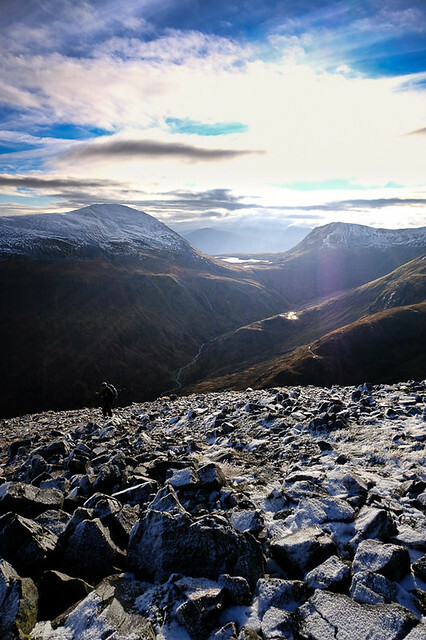 The final steepish ascent to the summit was made easy by reasonable paths through the scree and boulders, with a dusting of snow above the 870-80 m mark. 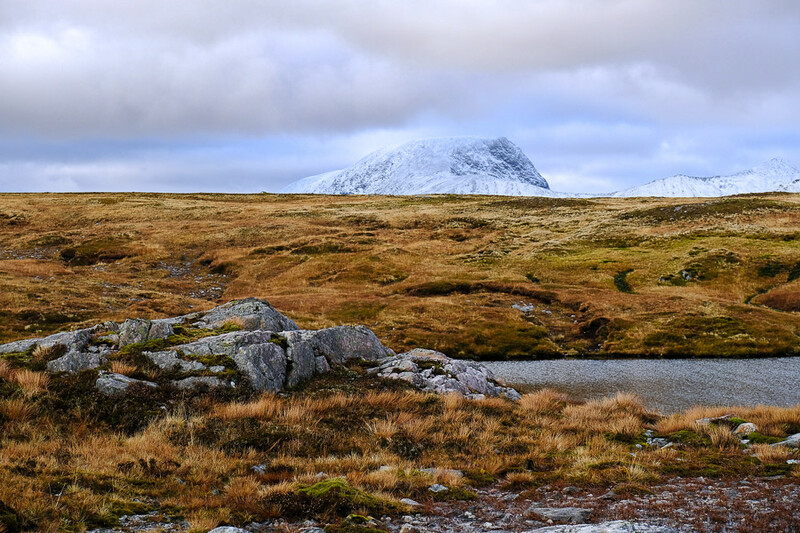 Our reward from holding back from using excessive speed (ahem) was that we timed the arrival on the summit perfectly, the cloud just lifting momentarily off most of the much higher tops around, although the temptation to flirt with the Ben's summit was obviously too much. 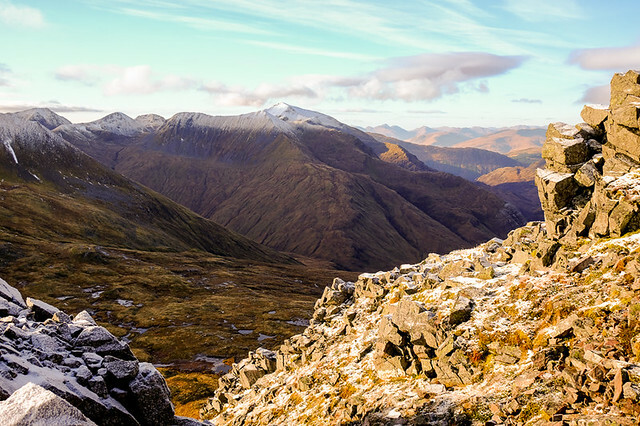 Binnein Beag is one of the smaller Munros, but even though surrounded by giants is a truly worthy summit given it's remoteness and view point. 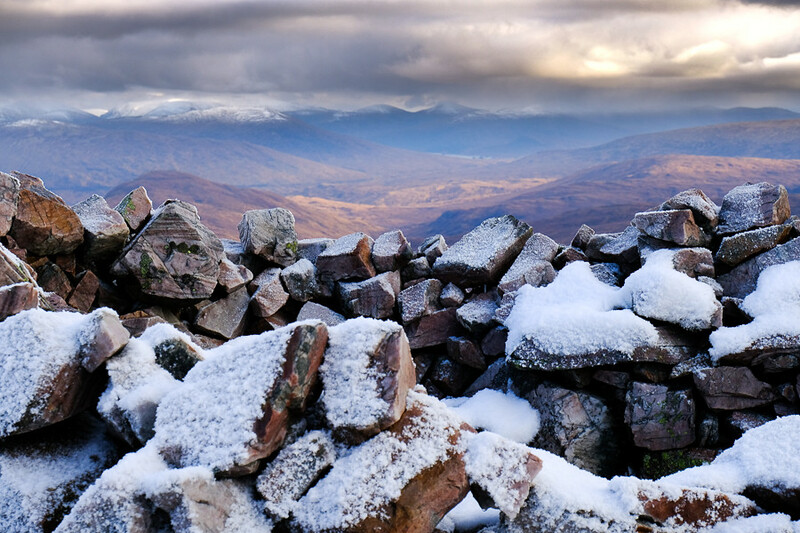 If I am blessed with good weather on Binnein Mor it will no doubt appear quite insignificant, but we know better now. Small but tough. 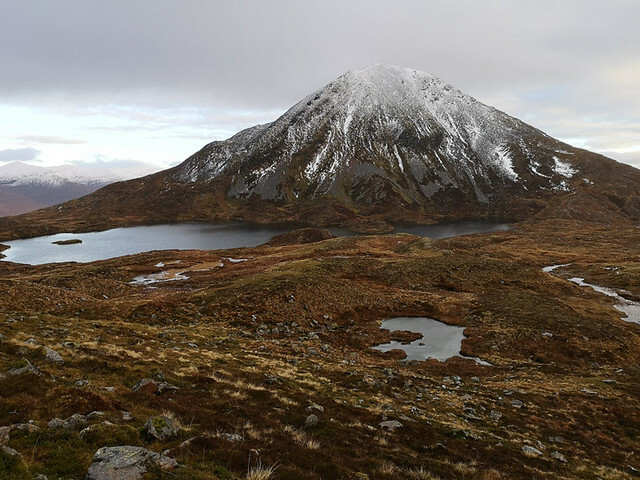 We were back at the start point for the Sgurr Eilde Mor option at 14:00, but enthusiasm was low, and daylight was short. 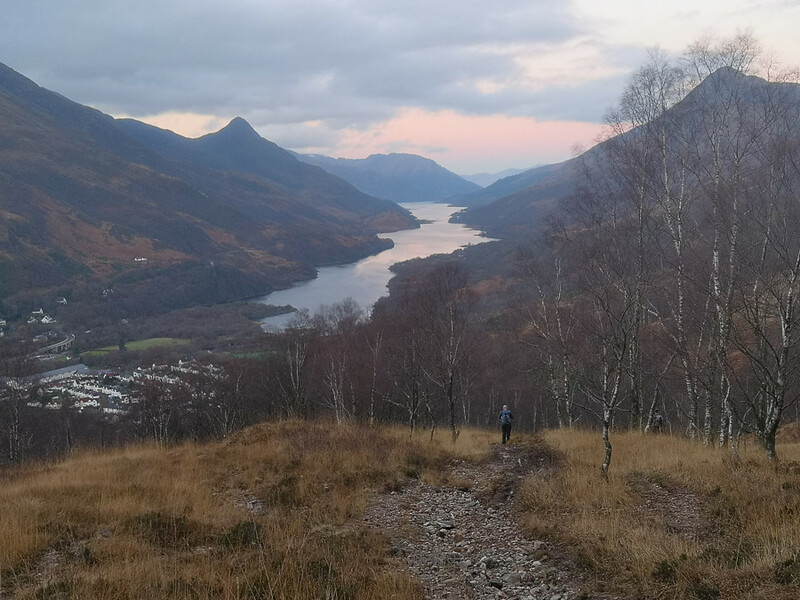 I'd already done it and JM had suddenly added it to his compleation "shortlist", so a decision was made to plod back to the car, and to enjoy the fading views over Loch Leven once more. And so it was back to the bunkhouse for more food and slightly less drink, in the grand company of our MM chums (including the Captain and Chief Engineer of the Mothership - an honour for us!). That was my last foray north from Yorkshire for 2018. But ... I'd managed some great trips with assorted MM and WH reprobates during the year, boosted the tally by 34, . 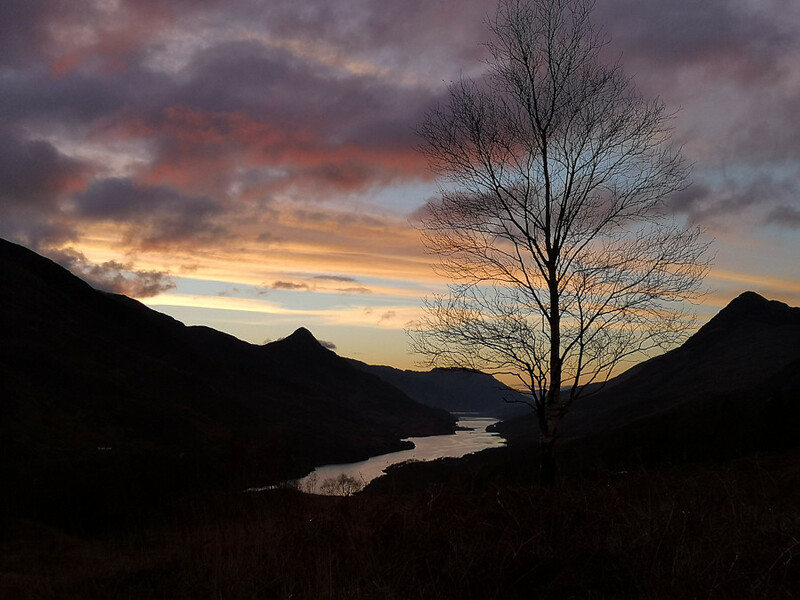 Once again Scotland, you have truly delivered, and I am always humbled by your awesomeness. A fine day out adding to the tremendousness that is a full on MM weekend. It will live long in the memory and even now if I shut my eyes I feel that Gazelle blood causing through my veins. Great photos and a well written tale without giving away too much of 'what happens in Corran Bunkhouse stays in Corran Bunkhouse'. Now pass the 21 year old Aberfeldy. Loved this report and really impressed you all managed such a big day - especially after seeing the assorted photos from the bunkhouse! Sorry we missed it this year, but hopefully manage to get to the meet next year. Well this (and JP's) report has been a revelation to me - I wasn't aware that any walking actually took place on these weekends . You certainly made the best of the weather on the west coast - Saturday was hideous in the east! 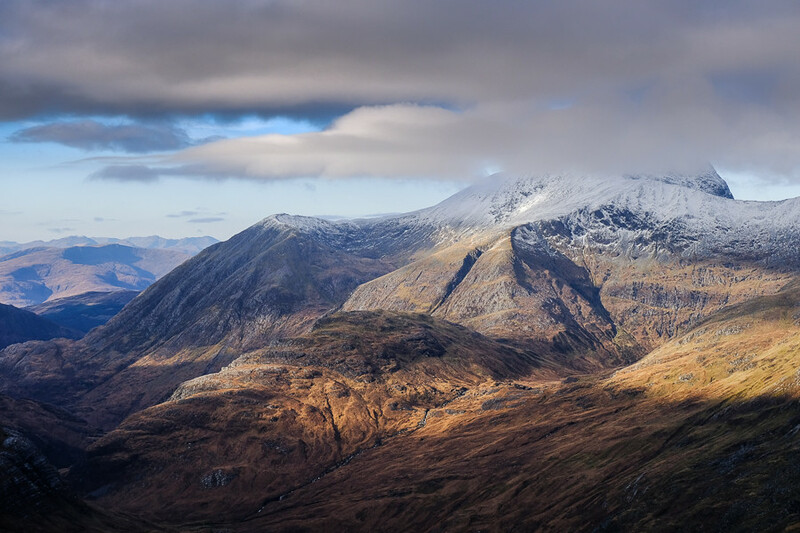 Always enjoy seeing photos from this end of the Mamores, especially with a dusting of snow . Nice Report Mr Wilson!! Was skeptical as to you all making it - especially with the previous night's shenanaigans!! Hahaha quality, really enjoyed that write up (we've all been there! ) and your photos are stunning! 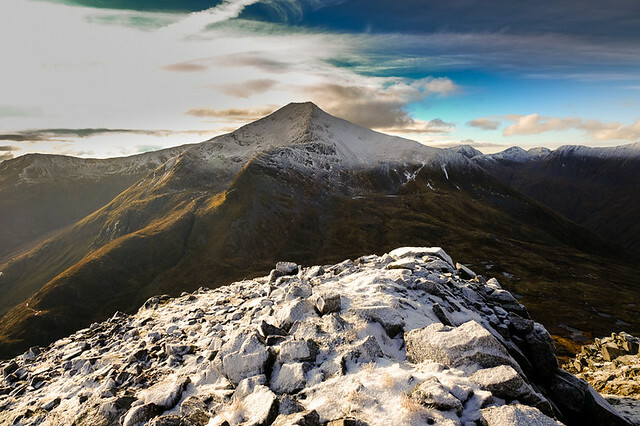 The Mamores have been tempting me for a while now, I sense i'll be spending a lot of time there next year after seeing reports like this, cheers!